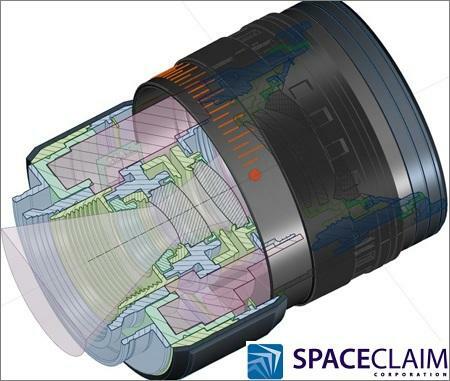 SpaceClaim Engineer has become a valued tool in model pre-processing for manufacturing and simulation. Users will find this release offers several new tools that speed and automate common tasks, eliminating much of the repetitive and difficult work that stands between engineers and their goals. The new version also expands interoperability with new translators and file format compatibilities including Solid Edge® AMF and AutoCAD®. Recently, the American Society of Mechanical Engineers approved ASME 14.5, which standardizes notation and inclusion of tolerance data with the geometry. SpaceClaim Engineer provides full support for this new standard, making geometric dimensioning and tolerancing (GD&T) a fully integrated component of the model. With new features like direct drag and drop file access from Outlook and new semi-parametric functionality, SpaceClaim Engineer users will find the 2014 release to be even more intuitive and easier to work with than any previous version. This release also offers support for web-hosted, browser-viewable models that anyone can view and interact with using a PC, smartphone or tablet. Finally, Dynamics for SpaceClaim is a fully integrated add-in from Algoryx Simulation available for the first time with the launch of SpaceClaim 2014. It provides motion dynamics for multi-body systems with joints and frictional contacts, driven by Algoryx’ market leading physics engine AgX Dynamics. When installed, a Dynamics tab in SpaceClaim offers mechanics modeling, interactive dynamics simulation, plotting and analysis, and full Luxion Keyshot integration for stunning photo-realistic simulation videos.